Over 1.3 billion people use Facebook Messenger every month and according to Facebook, they exchange more than 2 billion messages with businesses during that period. That is an enormous number considering Facebook only opened the Messenger API in April 2016. A recent Dimension Data study estimated that only 12% of Millennials choose the voice call as their preferred customer communication channel. Facebook Messenger, WhatsApp and SMS were the catalysts for the move away from voice calls on a peer to peer level. Now they are going to do the same thing in B2C communication. This guide on how to set up Facebook Messenger for business to consumer messaging will help you get started. A Facebook business page is required to use Messenger. If you don’t have one, then you should set one up before coming back to this post to refine the settings more relevant to Facebook Messenger. Tip! Ask yourself whether you need a new page. Is your existing page primarily for marketing purposes? Might a new page dedicated to customer support be more appropriate to build your Messenger traffic around? There are 3 elements on your business page that play a key role within Messenger; your Messenger name, profile picture, and the messaging button. What is a Messenger name? Your Messenger name operates in a similar way to your Twitter handle and follows the same format (i.e. @unique-username). If you have one, it can be found below the page name on your business page. If nothing is there, you have not claimed your username yet and should do so immediately. Why is it important for Messaging? It is a well-documented problem on Twitter that many large businesses have not been able to get their preferred Twitter handle, as it has already been taken. Thankfully, Facebook has tried to prevent this from occurring by requiring pages to have a minimum number of likes or messaging activity, before being entitled to register the Messenger name. Tip! Having the same Twitter handle and Messenger name will make life a lot easier when promoting your brand in print or at events etc. What is a Messenger code and how is it impacted by your profile picture? Your Messenger Code is essentially Facebook’s version of a QR code. It is unique to your page and consists of your business page’s profile picture and a series of dots and dashes around it. Its primary purpose is to enable one Messenger account to easily engage another in physical locations. For example, placing Messenger Codes on printed materials like bills, posters or receipts makes it very easy for a customer to start a conversation. Try scanning our Messenger code below by opening the Messenger camera and pressing your finger to the screen. To find your Messenger code, go to the "Inbox" of your Facebook page (in some accounts this may be shown as "Messaging"), and then click the information button (i) at the bottom. Download your Messenger code and use it wherever you feel it will be useful. Your Facebook profile picture is square. Yet that is what appears at the centre of your Messenger Code. So Facebook just crams a square peg into a round hole, which can result in your Messenger Code looking poorly designed. For instance, written text or key elements of your logo may be missing. Messenger profile pictures are also round, so even if you don’t plan to use Messenger Codes, this exercise is worth doing. What is the Messaging button? The Messaging button is a button displayed on your Facebook page which enables users to message you directly from the page. Take a look at the picture below to see how it looks on ServiceDock's Facebook page. Go to the section "General", and click "Messages"
Check the box next to "Allow people to contact my Page privately by showing the Message button"
Here we have covered 4 ways for your customers to start a conversation with you. They can click the "Message" button in your page or a short Messenger link, scan your Messenger Code, or search for your Messenger name within the app. There are also a number of settings within your business page that control Messenger specific features such as instant replies, the greeting message and the away message. Go to your Facebook Page, then click "Settings", and "Messaging" to find them. Instant replies are pre-configured messages that are automatically sent to all users contacting you through Messenger. “Hi [Name], thanks for getting in touch. If your query relates to our app, we are aware there is a login issue and we are working on it. We will let you know when it is resolved. We will respond to all other queries within 1-2 hours. For more examples of instant replies check out our blog post on how to use them for customer service. Note! Instant replies are not sent when “Away” status is turned on. Also, they are not taken into account when calculating your page's response rate or response time. 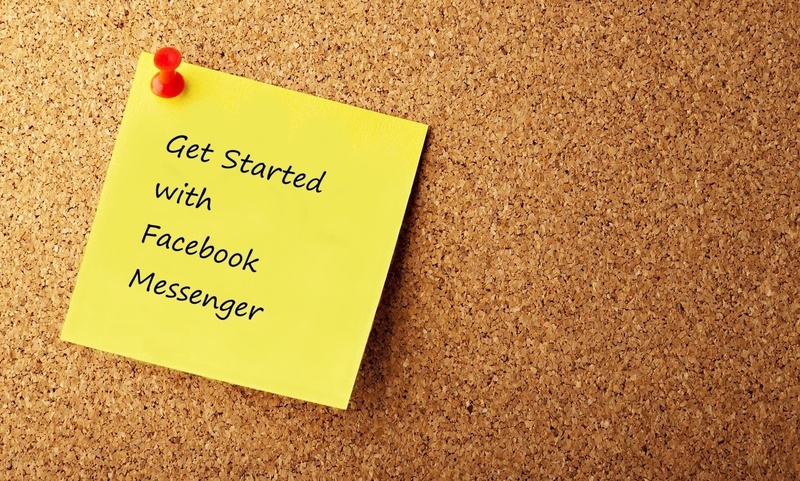 Find "Send Instant Replies to anyone who messages your Page" option below "Response Assistant" and click "Yes"
The Messenger greeting is the message shown on your Messenger account page the first time a customer starts a conversation with you. They will never see it again unless they delete a previous conversation or access Messenger using a different account. This setting can be a simple welcome but it can also be used to ask customers to provide you with specific information you need to handle their query. This shortens the process by asking them to give this information in their very first message. Take a look at Vodafone Ireland’s greeting message above. The “first impression matters” so using the "right" message will make you look like a helpful, trustworthy, and friendly business. Find "Show a Messenger Greeting" and click "Yes"
The away message is sent when you set your status to “Away” and a customer tries to contact you, or when they send you a message outside business hours. The away message helps you manage customer expectations as well as maintain your responsiveness rating. Let your customers know that you will not be opening new messages for a specific period, for example over the next 12 hours. Before turning on this setting, you have to have your business hours set on your Facebook page. If you want to make it more personalised, click "Add personalisation"
An app called WeChat is the leading messaging app in China where it has 1.1 billion users. More than 300 million of those users have their credit cards linked to their WeChat account while there is a huge amount of commercial activity taking place on the platform. This proves the potential of messaging apps to drive real value for businesses. Facebook wants Messenger to be the WeChat of the West. They are building it for businesses as much as for consumers. As is nearly always the case, businesses who adopt the channel early stand to benefit the most. Your customers, and particularly Millennials, love this platform and there are loads of ways to build traction. In our experience, consumers require very little encouragement to start using the channel. A simple button on a website or Messenger code on an ad is all it takes. Unlike Twitter and Facebook where there can be a question about the return on investment, with Messenger you are interacting with customers on a one-to-one basis, in a much more efficient way than over the phone or email. As long as you are providing great customer service, the value of the channel will be plain to see. If you have already joined the Messenger-for-Business journey, I would love to hear about your insights and learnings.